Welcome to my SBI review and my experience of building my own website with the Internet webhost Solo Build It! (SBI! - formally known as Site Build It!). 1) SBI! Has Given Me Something Truly Amazing: ME! Besides providing me with a whole lot of wonderful know-how tools for building a successful website as well as having access to a warm, enthusiastic Internet community, SBI! has given me an amazing opportunity to connect me more to myself. Isn't that just wonderful? I mean, we think we want this or we believe we need that in the external world to be happy, but what most of us really desire is a chance to get closer to ourselves - to find a space that feel like coming Home where we freely and peacefully can enjoy all aspects of our Beingness. I know that for some, what I've just written may sound a bit cryptic and weird but please, hang in there, I will try to explain more about what I mean in a little bit. A company called Wealthy Affiliate (WA) has been encouraging their members to write fake reviews about SBI! thus hurting SBI! 's business and deluding new website owners into potentially making unfortunate webhost choices (later in this article I will get more into that, too). In this SBI review I will now tell you a little bit about my website, how it came about, and what it has given me in both existential and concrete terms. Oh My! Positive-Parenting-Ally.com Is Among the Top 1% of Active Websites Worldwide! 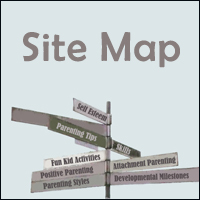 I started this website, Positive-Parenting-Ally.com, back in 2010. In human years she (my website) is still just a child but in the Internet world, she is a fairly old gal by now. Anyway, this website has highly engaged visitors, high traffic, and believe it or not, is actually among the top 1% most popular of all active websites in the whole world. Now, this would make intuitive sense if I were a nerdy HTML Internet geek with a whole lot of technical hoo-ha going for me along with an amazing ability to distinguish between correct and not-so-correct and useful and less useful information about how to do things in relation to my website. But wasn't (and I still am not) tech-savvy at all (before I started, I didn't even know what HTML was). (In case you don't, either, it's the basic programming language of the Internet). So what happened? How on earth can someone like me climb all the way to the top 1%? How I Got Started with SBI! Before this adventure began, like so many other people, I had a normal 9-to-5 job working for someone else. And even though some aspects of me, my intellectual and analytical side, were satisfied, something felt off and not quite right. I guess many of you know that feeling (or have known that feeling) of giving a part of yourself away through your work (metaphorically speaking) to something/someone else and not really feeling too happy about that - often because you're not quite sure that what you're pouring your energy into is right (whether the end result of your efforts is aligned with your own values). That type of work feels a bit like spending a lot of time and effort baking a cake that you're not quite sure is optimal and tasty, taking it out of the oven, closing your eyes and then proceeding to throw it out the window. You don't really know if anybody will catch it, what they'll do with it if they catch it, if they even like it when they catch it (or if it just hits them right in the face). Or maybe no one even catches it and it just hits the ground in one big splat. Fortunately for me, my brother was going through a similar process of discovering that his daytime job didn't make much sense to him either. He had a dream of working with personal development and wanted to find a way to do it that would suit both his introvert as well as his extrovert sides. So being the über geek that he was (and still is), he started a long journey of researching. He actually did have some experience with HTML programming as well as building websites, but had realized that he wanted to do more and better, and so he'd been researching the Internet for a long time for webhosts, know-how and systems that could help him build a successful website and get his word out there to as many people as possible. And what he found at the end of his long and extensive research was SBI! (called Site Build It! at the time, now called Solo Build It!). He liked very nearly everything about it. At this point in time I had just finished my maternity leave, got back to work for a month or so, then been fired because of the global financial crisis and so I was now on the dole. 'Oh yes, you do', he said. 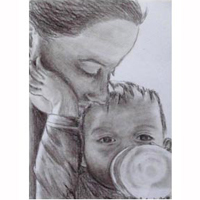 'You're a wonderful mother and you know something very important about parenting and being a mom.'. And that was the rather casual and unpretentious birth of Positive-Parenting-Ally.com. Some of the most compelling reasons for building a website are a chance to get away from a 9-to-5 job, and earning your own money, and being financially independent. I think many people are drawn to this dream. I was too. And it is truly wonderful, but for me it has become much more than that. Rather than it (working with a website) being a movement away from something (a daytime job), it has become a movement towards something: myself and an existential sense of Home. Now, when I sit down to write an article or log in to my SBI! account (Site Central, it's called), I get that that wonderful feeling, 'Aah, I'm home. This is me!'. This feeling is particularly pronounced if I've been away on holiday and just got back or if I've been occupied with something else for a while and then return to website work. 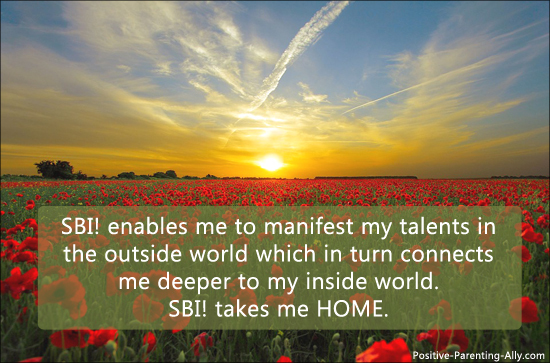 The feeling of Home is just one thing that connects to myself, below you'll find many other ways that SBI! and working with a website brings me joy, provides balance within and connects me to myself. Right now as I'm writing this, I'm sitting on a wooden bench at the borders of small lake in Copenhagen, the capital of small Denmark (Scandinavia, Europe) where I live. Unfortunately, even though it's summer, the sun isn't out today. And the surroundings are not as picturesque and breathtakingly beautiful as the ones you can find when you're in Bali or Hawaii. But you know what? That doesn't matter! When I'm sitting out here in nature, the sun is still shining inside of me ... even as there are tiny drops of rain falling on the screen of my laptop. I don't know if you can see it in the picture, but there are actually. Being able to work wherever I please is amazing. I can follow my 'energy' to where I feel would be best for me and most inspirational for what I'm doing that particular day. My brother and I have another lake, a really beautiful one with swans, that we often visit when we want to work. And while thinking about all the people in their offices, we really enjoy saying to each other, "The sun is out today, shall we go down to our office?" Working for myself and with a website is ideal for someone like me who prefers not being told what to do, when to do it, and where to do it. I know that some people actually like and prefer being told such things and that's wonderful for them. I myself know a few people who prefer it like that. Maybe you do, too. It's just not ideal for me and might not be for you either! I thrive on my sense of work freedom. I really do. Yes, sometimes I have obligations with other people in relation to my website, but mostly I can do whatever I feel like, when I feel like it. 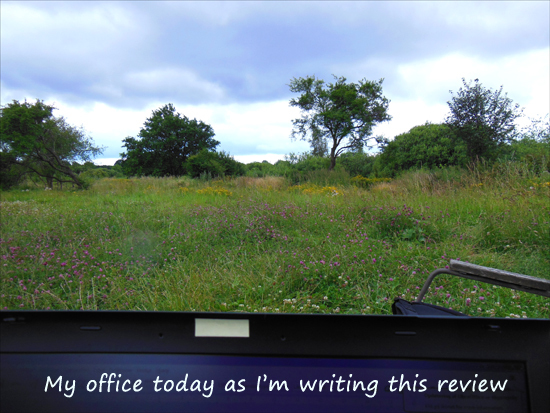 If I were employed, I wouldn't be able to say (at least not to the same extent), I don't feel like writing today or for a whole week. With my own website, I can do that. I can follow my inner drive and also choose not to work any given day, if I feel that I need to do something completely different. That kind of freedom is immensely valuable to me. I simply stay more in balance if I can follow my inner drive at any given point. Working with a website might sound like a fairly uniform way to work: You write something and you publish it. However, there is much, much more to it than that. Building, growing, and maintaining a website really gives rise to a very diverse way of working as it allows me to use so many different sides of myself. I use this knowledge very consciously during a working day. You see, I'm a person who thrives best with lots of variation and I work best and most efficiently if I can change my work focus a lot during the day. For instance, my brain works well in the mornings, so I often choose to write articles and do other things that stimulate my intellectual and analytical side. When I've done that, I might want to lay back a bit more and do some research. It could be learning about a new subject or how to optimize on something. For instance I might decide to learn more about Pinterest, grab a cup of coffee, lean back, and read through SBI! 's new Pinterest Action Guide. Sometimes I don't feel like doing anything brain related at all and want to work more artistically. So I might go out and take some photos or make some drawings for an ebook or simply relax working with photo editing. And if I am in a more social mood I might make contact with people or go on Twitter or Pinterest. And since my website is a parenting site, I've even included my son in some of the activities that I've written about. So family time is also possible. In other words, working with my website is really something that stimulates me in many, many different ways during a day. It's a way to embrace wholeness. The whole of me. I love it! This was a little bit about what SBI! gives me in existential terms. Now in this SBI review I will move on to the more concrete things that SBI! has offered me in terms of building a website. SBI! as webhost makes me feel incredibly safe. In metaphorical terms I view SBI! as the solid framework of my house. In a sense SBI! makes up the fat, solid, weatherproof wooden beams of my half-timbered house. Without those solid beams my house would be very vulnerable to external conditions and might even collapse. For instance, no SBI! site has ever been hacked! That is really quite a feat. With other hosts I've experienced being hacked several times and it's really, really annoying. Twice I've had to 'nuke' a site and start all over again. No fun in that, as you can probably imagine! When you join SBI!, you can't expect to build your website in a couple of days. When you join SBI!, you'd probably have to view it as starting a new education that has a learning curve. SBI! has an amazing 10 step action guide that will take you from the very beginning of even thinking about building a site to maintaining a money-providing business. And even though it sounds short (only 10 steps), it does takes a while, believe me. But that is only because, SBI! wants you to do it right! And it simply takes time to learn to think in a new way. What SBI provides, among other things, is a way to build a website that actually gets found by the search engines. And why is that important? Well, you don't want to write your articles and present your photos, artwork (as well as your monetizing options), etc. for nobody, so you want visitors a.k.a. traffic and if you want traffic that you don't have to pay for, you need to follow certain principles when building your site. SBI! tells you exactly what those principles are, and they tell you whenever you need to adjust something because the search engines (Google, Bing, etc.) have made some changes - which they do quite often. 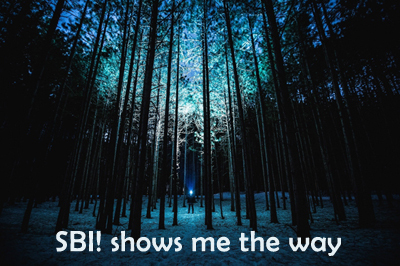 Besides being able to use an extremely valuable keyword searching tool, writing and sending out newsletters for free, having access to a friendly, highly knowledgeable forum of SBI!ers where you also find Ken Evoy present (Ken Evoy is the founder of SBI! ), you get knowledge about how to: build navigation, write excellent content, find suitable money-making options, use social media in an optimal way etc. etc. If you're interested in an overview of all the tools you'll get with Solo Build It!, you can go here. And if you're stuck there is not only a highly competent support team ready to help you, but also the previously mentioned super friendly forums of SBI!ers, where you can ask any question you feel like and it will be well-received ... no matter how stupid you may think it is. Normally when you have a website, you have a purely business-based relationship with the host. At least that is my experience. You pay them 'rent' and occasionally you have a very short (and often frustrating) experience with their support. With SBI! it's different. You enter a family. Both in terms of Ken (who is like a protective father) and the forums where all your SBI! brothers and sisters are helping each other. Somehow SBI! and Ken has managed to make SBI!ers so happy with their product that SBI!ers are willing to help other SBI!ers succeed with their website ... for free. Isn't that amazing? 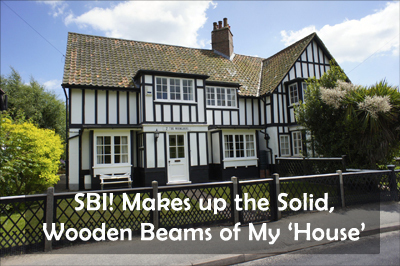 Also, just look at me writing this SBI review. I don't get paid for it. I'm not an affiliate of SBI!. I do it because I feel like it, because I'd like to pay back some of all the good SBI! has done for me, and also because, as I mentioned earlier, right now SBI! is under attack from another company called Wealthy Affiliate (WA) who is encouraging their members to write fake, damaging reviews about SBI!, which I think is really distasteful, so I want to do my small part in making it right - simply by telling my truth. Being the evidence-based company that SBI! is, such occurrences led to Ken Evoy and SBI! conducting a very thorough study to see if there was any truth to WA sites being more successful traffic-wise than SBI! (Solo Build It!) sites. And the results were clear: SBI! sites are 33 times more likely to achieve "outstanding to excellent" traffic levels than WA sites. So the conclusion was clear, SBI! is the better choice for solopreneurs looking to build a successful website business. And since my SBI! website is now in the top one percent of all active websites in the world, I can attest to that. If you're curious about what kind of websites have been built with SBI! you can check out this list that shows SBI! 's top 500 sites all ranking within the top 0,5% of active websites worldwide. As we all know, the Internet and the technological world in general is extremely fast-moving. Things change so rapidly. One minute you're doing one thing and the next day, it's outdated. Or you're looking to problem solve and you discover online that there are 100 opinions about something and you don't have the skills or knowledge to distinguish what is right and what is wrong. Here SBI! is a life saver. As I already mentioned briefly, SBI! is founded by Ken Evoy who I view as a sort of website father. He is like this super data-loving nerd who researches everything in-depth and gives you his unbiased opinion. When I say nerd, I mean it in the best way possible (personally I really quite like nerds. I have many nerdy friends). You see, nerds are not after status, prestige or some other ego or money boosting thing. Nerds are always looking for the TRUTH. And that gives me peace of mind. I know that if Ken Evoy has researched something, he has done it in-depth, presents you with the evidence and really genuinely wants the best for you. Yes, he has business interests for sure but my impression is that they would never overshadow SBI!ers' interests. Ken has even said that if we (SBI!ers) find something somewhere that is better than what SBI! can offer and SBI! can't match it, Ken himself would help us go to where the grass was greener. So if I hear about something new Internet-wise or want to expand in a certain direction, I might do a random search online, but I will never act until I've read what SBI! / Ken Evoy has to say about it. Is There Really Nothing Bad about SBI! in This SBI Review? Well, for me, I can't find anything explicitly 'bad' about SBI!. Sure there are things you'd wish for but since no other competitors have it either, you can't really expect it. For instance, I would love it if SBI! were to offer a shopping cart and payment system I could use for selling my ebooks - you know, like Ebay.com offers PayPal. That would awesome. But I also know that this is a huge thing. So product-wise I'm really very happy. But on the other hand, if I were a blogger who had a blog for mostly therapeutic purposes and I just needed to write and had no dream of having many people see it every day, I wouldn't need SBI!. Or if I had a company and only needed an 'electronic business card' to show to my customers when I met them face-to-face, I wouldn't need SBI!. But if you have a dream of getting more than a few visitors per day as well as eventually making money off of your website WITHOUT having to pay for traffic (with e.g. Google Adwords), you do need SBI! At least that is my experience! I hope this SBI review was of use to you and wish you the very best in finding a webhost and business partner that suits your needs so you can have tons of fun and build a wonderful website - be that with or without SBI!